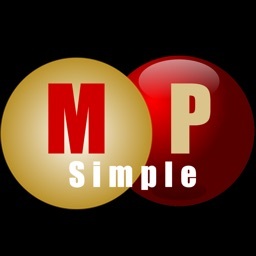 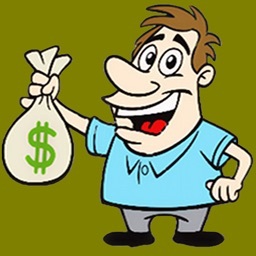 Simple, uncomplicated access to PowerBall and Mega Millions lottery results. 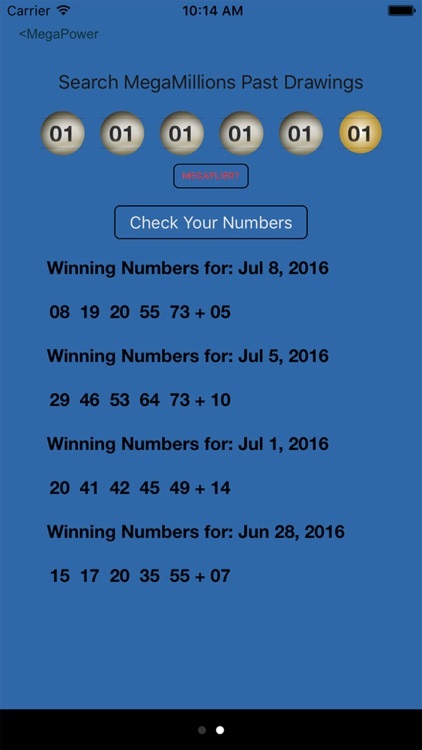 Search for past winning numbers (searches last 3 months). 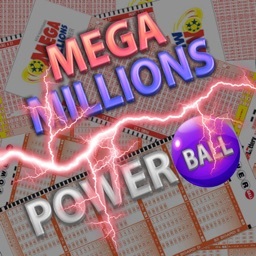 Set ticket purchase reminders for both PowerBall and Mega Millions drawing dates. 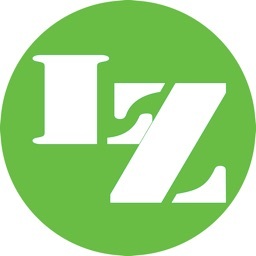 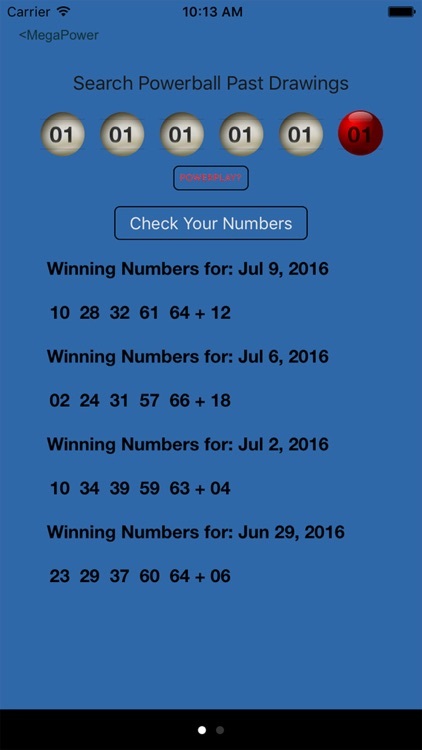 Generate and save your lucky numbers to the camera roll! 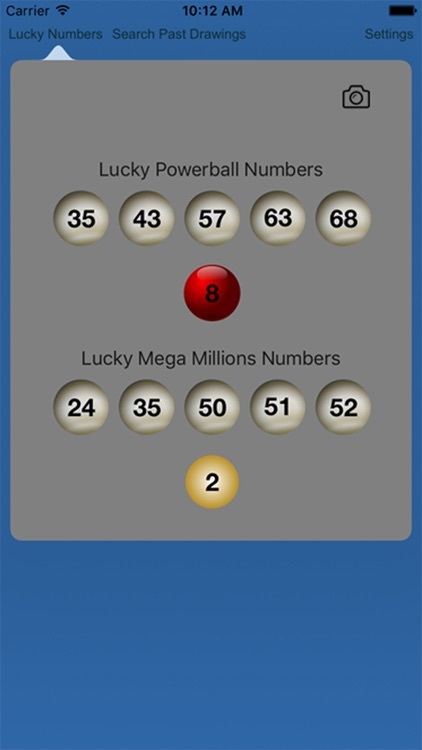 Use our random number generator to get great picks for your next ticket - save them via the camera icon for a screenshot. 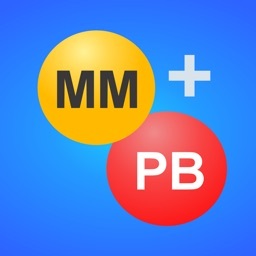 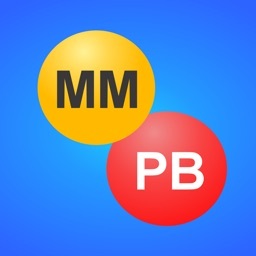 You can choose your numbers to search (just swipe the numbers up and down to choose), and find if they won over the last 90 days of drawings for Powerball and Mega Millions. 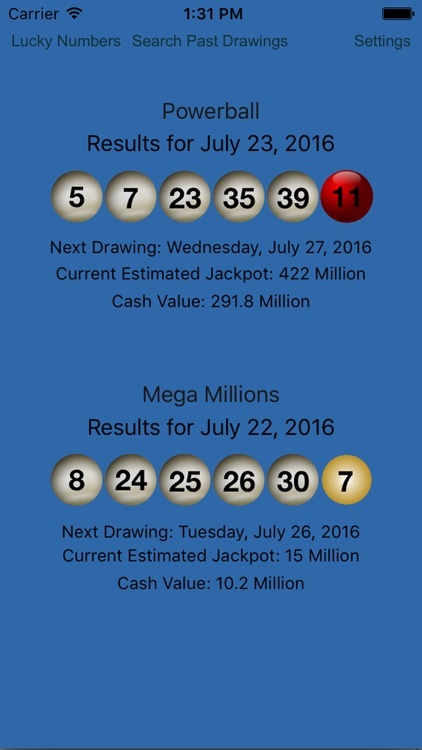 Highlights winning numbers with dates, along with payouts! 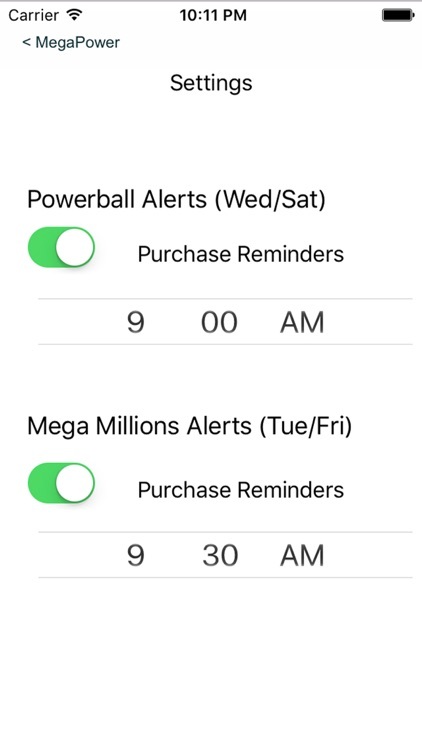 Set purchase reminders for PowerBall and MegaMillions so you don't forget to get your lucky ticket!